LEXIT is the first online marketplace that allows entrepreneurs to trade IP, copyrights, code, and even sell entire startups. LEXIT streamlines Mergers & Acquisitions through a blockchain-based tokenization model and the disintermediation of appraisement and matchmaking services. Selling or buying tech assets in LEXIT is as simple as purchasing a car or real estate. The LEXIT Solution allows for M&A processes to be concluded four times as fast, at about a quarter of the traditional costs. Entrepreneurs are empowered to discover the true value of their assets on a vibrant and highly liquid marketplace without having to bear overpriced prepayments. Mergers and Acquisitions (M&A) is a complicated field. With millions of businesses forming and disintegrating annually, buyers and sellers have a hard time finding each other and negotiating fairly. Involving batteries of corporate lawyers, investment bankers, financial advisors and appraisers, the selling of a company or its assets entails very high costs, even before the first potential buyer is contacted. These enormous barriers to entry have until now prevented the emergence of online M&A marketplaces, akin to those existing for other kinds of property. LEXIT aims to become the first such marketplace. 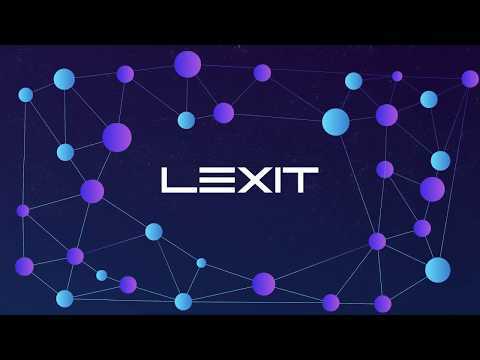 Utilizing a platform approach, blockchain technologies, and an international network of business partners, LEXIT aims to increase the efficiency and liquidity of the corporate asset market in the same way eBay did for peer-to-peer commerce and Airbnb did for short-term renting. To achieve this aim, LEXIT combines blockchain-based token economics and best practices developed by the platform-marketplace industry. Both are heavily reliant on the Law of Big Numbers: the larger the pool of buyers and sellers, the more reliable price discovery is and the faster optimal, win-win deals can be achieved. highly beneficial in terms of promoting innovation and supporting growth, while reducing overhead costs and risk. and highly liquid marketplace, without having to bear excessive fees. And most importantly - for the first time - an efficient market for IP and patents is established, allowing companies to trade IP assets as conveniently as one would buy, sell or rent a car or real estate.